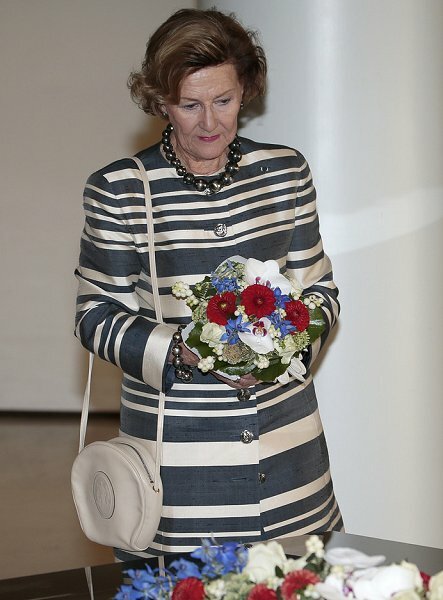 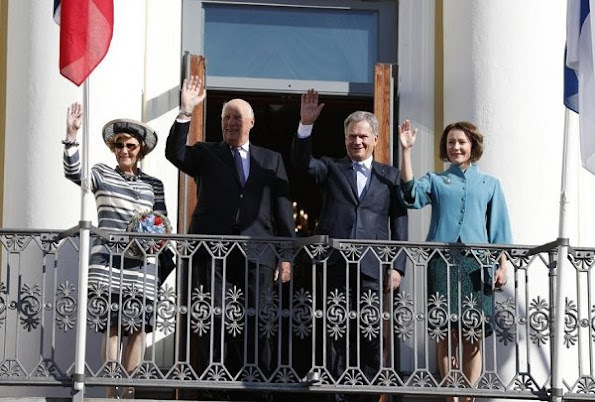 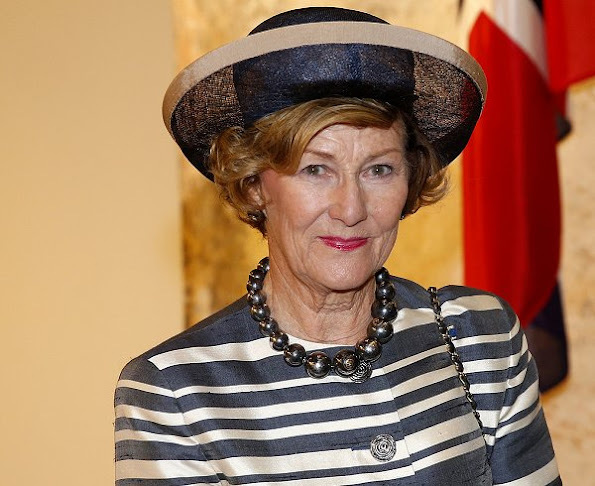 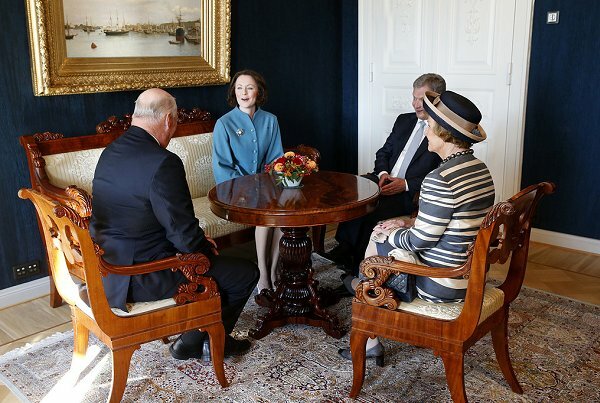 King Harald and Queen Sonja of Norway is currently making a 3 days official visit to Finland. 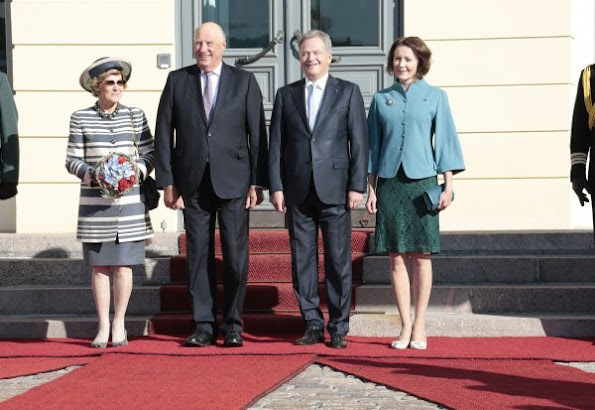 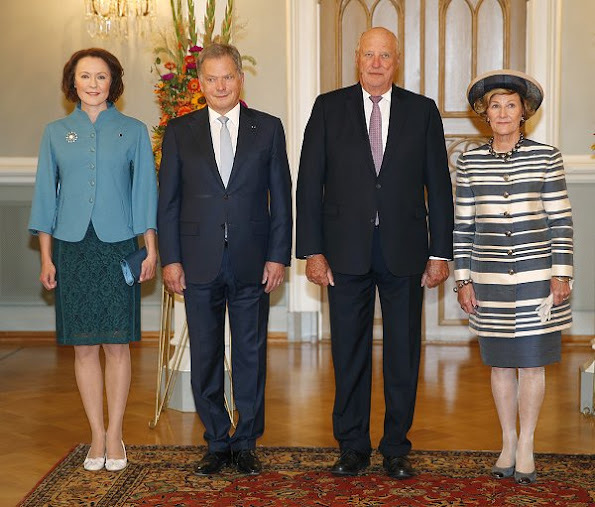 On the first day of the visit, King Harald and Queen Sonja met with Finland's President Sauli Niinistö and his wife Jenni Haukio in Helsinki on September 6, 2016. Jenni Haukio´s shoes should be different color, otherwise good outfits.